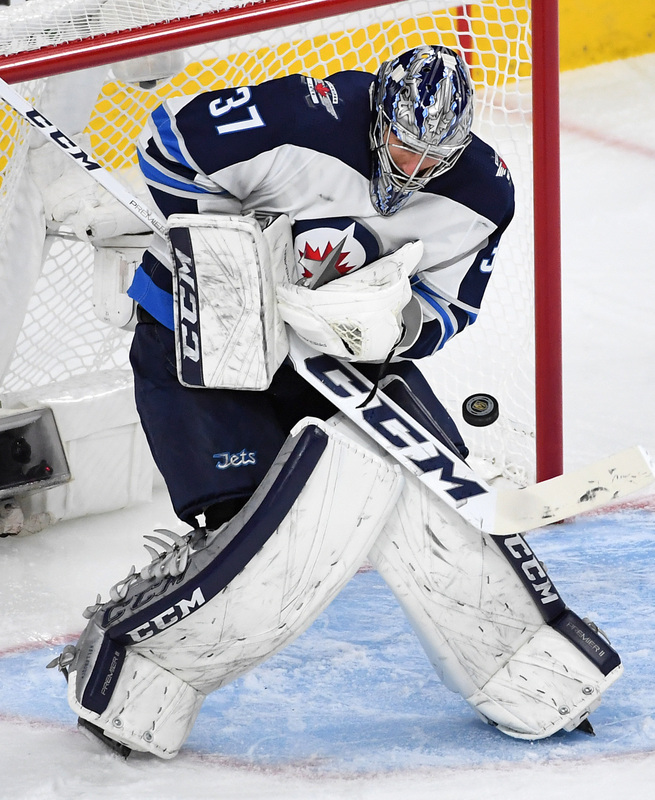 The Winnipeg Jets looked like a team battered and bruised in their final game against the St. Louis Blues, and it turns out that it isn’t just their egos that will need a few days to heal. Nikolaj Ehlers told reporters today including Ken Wiebe of the Winnipeg Sun that he suffered a fractured foot but played game six anyway, while Patrik Laine had groin and back injuries that he was dealing with throughout the playoffs. Neither player will suit up for the IIHF World Championship next month. Brandon Tanev, who played in the final five games of the series, had surgery on a broken finger just a few days before the playoffs began. The Jets will have plenty of questions to answer this summer after failing to get past the first round of the playoffs, and the postseason performance of Ehlers is certainly one of them. The 23-year old failed to record a single point in the series against the Blues and now has gone 21 games in his career without scoring a playoff goal. Ehlers struggled with injury for much of this season and finished with just 37 points in 62 games, a far stretch from the 60-point seasons he put up in the previous two. The speedy forward just completed the first season of a seven-year, $42MM extension signed with the Jets in the fall of 2017. His performance is paramount to the team taking the next step and competing for the Stanley Cup. After going through an arbitration hearing with defenseman Jacob Trouba, the Jets were able to avoid that step with winger Brandon Tanev, announcing (Twitter link) that they have inked him to a one-year contract. Team reporter Jamie Thomas adds via Twitter that the deal is worth $1.15MM. That represents a nice raise on the $700K he earned last season while he will be eligible for unrestricted free agency next summer. Tanev is coming off of his best NHL season, posting eight goals and ten assists in 61 games in 2017-18 while logging 12:40 per night in ice time. He followed that up with a strong showing in the postseason, collecting four goals and two helpers in just 17 games while seeing an uptick in playing time to 17:19 per night. The 26-year-old figures to reprise his role in Winnipeg’s bottom six and should once again play an important role on their penalty kill. He averaged 1:58 per night shorthanded, third among all forwards. For perspective, center Adam Lowry, who also re-signed earlier in the week, ranked first among forwards at 2:02 per night. Meanwhile, the Jets still have plenty of work to do on the free agent front. The team still has seven restricted free agents to sign, headlined by defenseman Josh Morrissey. Of that group, only forward Marko Dano has an arbitration hearing on the horizon. They have more than $10MM of cap space to work with so they shouldn’t have any trouble getting anyone locked up although they will likely want to leave themselves some space for any in-season moves as well as expected bonuses from their entry-level players such as wingers Patrik Laine and Kyle Connor. The Winnipeg Jets have been eliminated from the Stanley Cup Playoffs, knocked out by the expansion Vegas Golden Knights in just five games. That ends what was an outstanding season for the Jets, who not only climbed into the playoff picture but showed they could be a long-term contender. Their young core has all reached new heights, and should be able to put pressure on the best teams in the Western Conference for some time. With those young pieces though come several big decisions. The offseason, not even 24 hours old for the Jets, already must seem too short for GM Kevin Cheveldayoff and the rest of the front office staff. Not only do they have to prepare for the draft in a month’s time, but the roster has just 14 players under contract for next season. Especially on defense and in goal, these are key players who could demand long-term contracts with substantial cap hits. Trouba, who once wanted out of Winnipeg to play a bigger role somewhere else, has recently indicated that he would like to stay with the Jets long-term. The team would obviously want that too, but have to carefully manage their finances as they approach restricted free agency next summer with Patrik Laine and Kyle Connor. Success is eventually paid for. With so many restricted free agents, it’s sometimes easy to forget that Paul Stastny, Toby Enstrom, Matt Hendricks, Shawn Matthias and Michael Hutchinson are also headed for the unrestricted waters this summer. Several of these players will generate extensive interest should they hit the open market, and it’s not clear if Winnipeg intends on re-signing any of them. If they do, July 1st is coming quicker than you may think, and work needs to be done to secure their future contracts. Either way, Winnipeg has a busy few months ahead of them as they try to piece the roster back together and take another shot at the Stanley Cup in 2019. Though there needs to be a few days of decompression from their shocking defeat, there’s plenty of work to be done. Poll: Should The Winnipeg Jets Re-Sign Paul Stastny? There is much to be proud of if you’re a Winnipeg Jets’ fan, but while most fans are paying attention to their play in the Western Conference Finals. And while the Jets find themselves down 3-1 against the Vegas Golden Knights, Winnipeg will need to find a way to win three in a row. 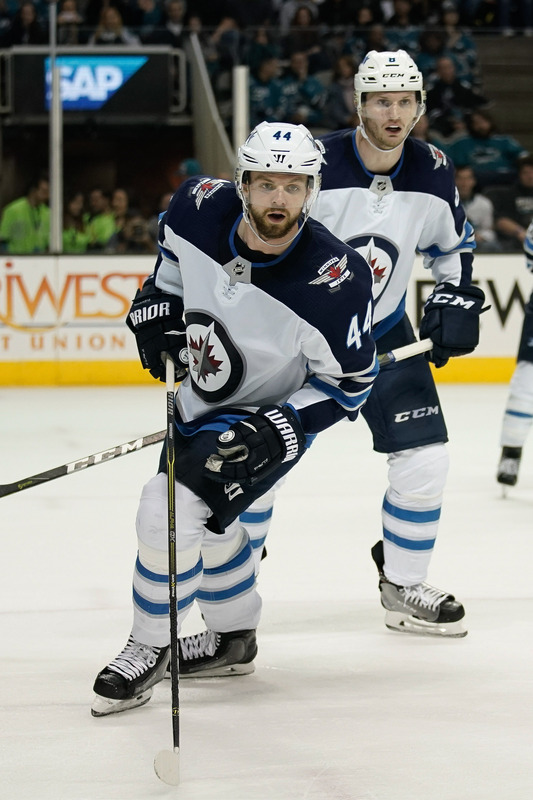 To do that, they will need success from multiple lines, including the success of the team’s second line, including Patrik Laine, Nikolaj Ehlers and trade deadline acquisition Paul Stastny. When the team traded for Stastny for prospect Erik Foley, a 2018 first-round pick and a conditional 2020 fourth-round pick, they got a steal. Stastny has stabilized a powerful young line next to Laine and Ehlers as the line has helped guide them through the playoffs. Just against the Nashville Predators alone in the playoffs’ second round, Stastny practically beat the team on his own, putting up five goals and five assists in seven games. He has been effectively shut down by Vegas in four games as he’s only managed one assist, yet the veteran has been key to their playoff future. The Hockey News’ Matt Larkin recently wrote a story wondering what the chances Stastny has of returning to Winnipeg next year. The unrestricted free agent is 32 years old, a point where long-term deals start to look questionable as many players in their 30’s begin to decline, especially with speed being emphasized by many teams. Unfortunately for Winnipeg, the free agent options at center will be very limited this year after the Islanders’ John Tavares, making Stastny the likely second-best free agent on the market. With many teams in need of a center, he could easily get a big deal and while maybe not as high as the $7MM a year he’s been making recently, but he should easily fetch $5MM per year with his next deal and if the team has to overpay to keep him, it could go as high as $6MM per year. Then the question is whether Winnipeg can afford him. While the team has ample cap space at the moment, the Jets also have 14 players on their current roster who will either be restricted or unrestricted free agents. Many of their restricted free agents like Adam Lowry, Brandon Tanev, Joel Armia and Josh Morrissey should get solid raises, while others like Jacob Trouba and Connor Hellebuyck should get major contract extensions, likely taking up a large chunk of their available cap space, leaving little or no room for Stastny. Add to the fact that Laine, Kyle Connor and Tyler Myers all will need new contracts in one year, that leaves little wiggle room unless general manager Kevin Cheveldayoff can pull of a clever balancing act to keep everyone happy. So, should Winnipeg try to keep Stastny around next year or just let him go?